Wedding albums are one of our favorite tangible products you can receive from your wedding day. They often become family heirlooms and we like to envision our clients taking out the album on their 10 year anniversary to relive their day. This will be done on Facebook, on a computer, or maybe on an electronic water TV screen, who knows what the future will be like, but we don't think anything compares to holding a tangible photo. It makes you stop, and look at every corner, and brings you back to that exact moment. We picture our couple sitting down for hours, going over the photos, talking about that special day. If they have children, maybe it is the first time they really talk about their wedding day with them, who was there, what it was like, etc. It can also be used as a coffee table book. When you invite guests over to your house, this is something they are able to look at while spending time with you. Photographers can make a variety of dimensions and pages that best fit your needs. We offer a 10"x10" album with 20 pages or a 12"x12" album with 30 pages. We also have a selection of material swatches which consist of genuine leather, suede, and linen in different colors so you can pick the one that will best fits your home decor. We make sure your wedding album is of the highest quality and built to last, so it can become a family heirloom and have the ability to be passed down for multiple generations. Every page is 1mm thick so they are not easily bent. Also, there are no seams, so the photos are able to be printed across the entire spread which makes for a beautiful and unique design. On the cover, we will engrave you and your spouse's names to give a final touch. It is important to ask your photographer how they go about the design process of a wedding album. For us, we first let you choose which photos you want in your wedding album (about 70-100 photos). We then create the layout of the photos. We like to do a clean, modern layout because it is easier on the eyes and flows nicely. We will send you a rough draft of the design layout and make sure it is exactly how you want. There is no limit to the amount of changes you want because we want this to be absolutely perfect for you. This wedding album is going to become a family heirloom that will last for lifetimes to come. The amount of time that it takes to design your wedding album, and the bare costs are what makes them a higher ticket item, but can be so important and worth it time and time again. If it is not included in a wedding package, ask your photographer if it can be added, or even to offset some wedding costs, see if it is something you can do after the wedding! We know how hard it is to plan a wedding and all the decisions that go into the process, so we hope that this has been a helpful guide for you. Weddings are one of the most important days of your life. You spend months planning and preparing for this one day and before you know it, it flashes by. One way to look back at this magical day is through your wedding photos, but what if there was another way to relive the moment? Wedding photos are only a snapshot of one specific moment, whereas a video is the entire moment. A video gives you a whole new way to relive your wedding. With a video, you are able to experience things that you would not be able to do with just a photo. You get to hear the vows and witness them as though you are a guest at your own wedding. You also are able to hear the toasts which hold so much emotion that a picture just cannot capture. Not only is it a different way to view your wedding, but it can also collects moments you may not see. For example, imagine a picture of your guests laughing at your reception. With a photo, you only see them laughing. However, with video, you understand why they are laughing and have the chance to be a part of that moment. A video captures the entirety of that point in time. Not only can you see different times in your wedding of you and your spouse, but you also get to see your guests. Some brides have said that their wedding video is the last moment they have on film with some of their elderly relatives. You get to see how your guests celebrate your special day! We also shoot wedding videos with a drone, which gives a unique perspective that not everyone gets to have. Drones offer a view point that takes your breath away. Check out the link below to see some of the wedding videos we have shot! Maybe this will inspire you to have your own wedding video. 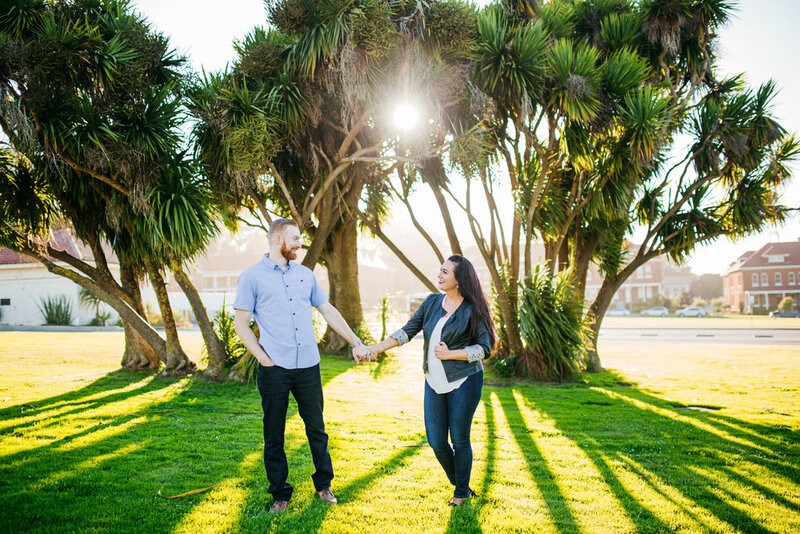 Engagement photo shoots are a great way to kick off excitement for your wedding! 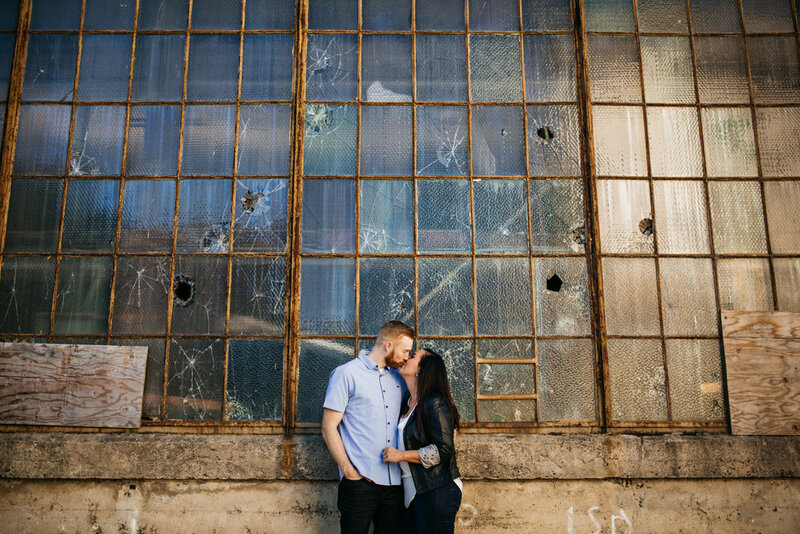 When you have engagement photos on top of wedding photos, you have more of a variety for your home. 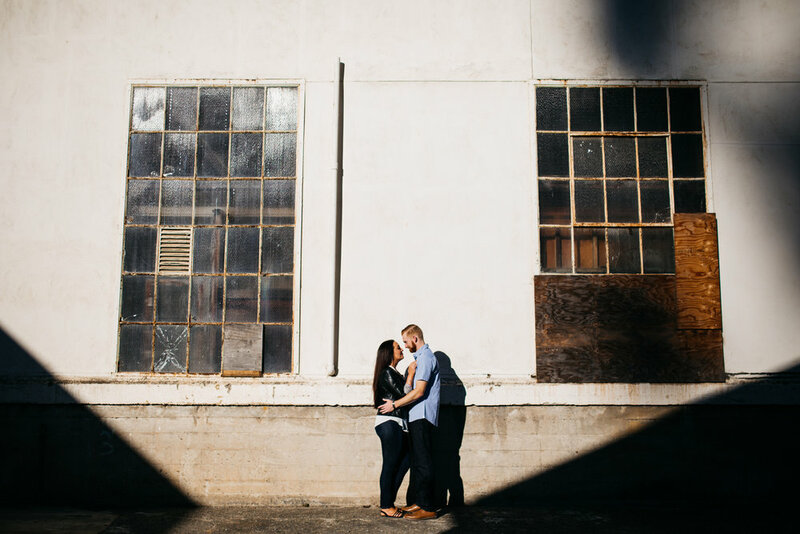 Engagement sessions are more casual, have different settings, and are often in a different season from your wedding. 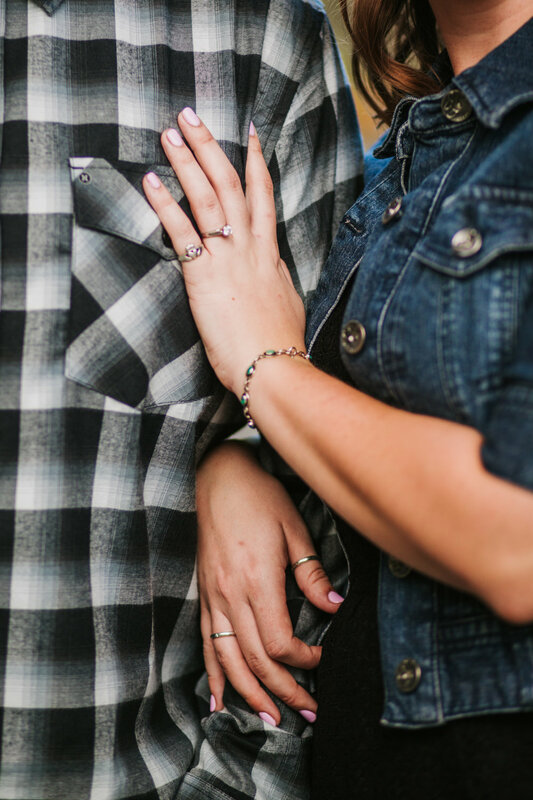 It is a great way to show how it all started and you receive more photos since, for us, an engagement session is included in each of our photography packages! The biggest reason why it is in all of our wedding packages is because it makes the wedding day much smoother. You know what to expect from us, how we work, and you have gotten used to being in front of the camera. It is our chance to really work together and understand what to expect on the big day. It is important to get comfortable with your photographer since your wedding photographer is one of the few vendors who are there the entire day, and having someone you are comfortable with is huge! 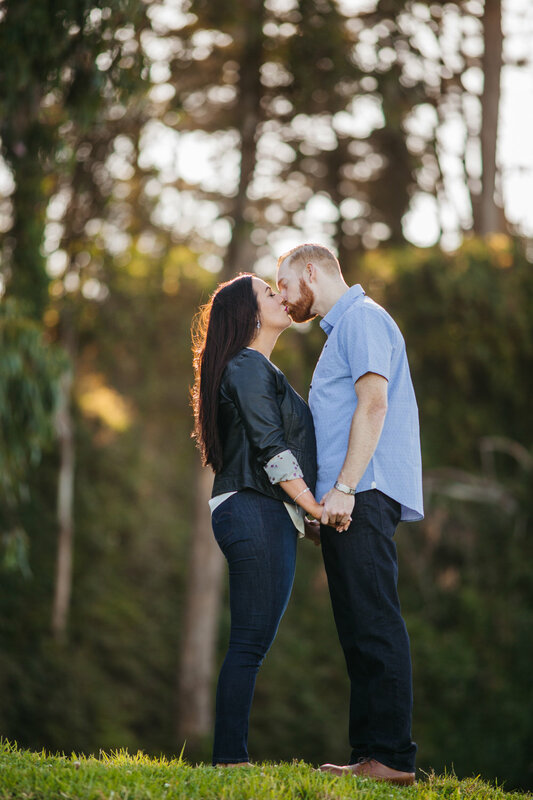 A good photographer can really add to your day and an engagement shoot is often where you really get to know your wedding photographer and feel more comfortable with his/her style. 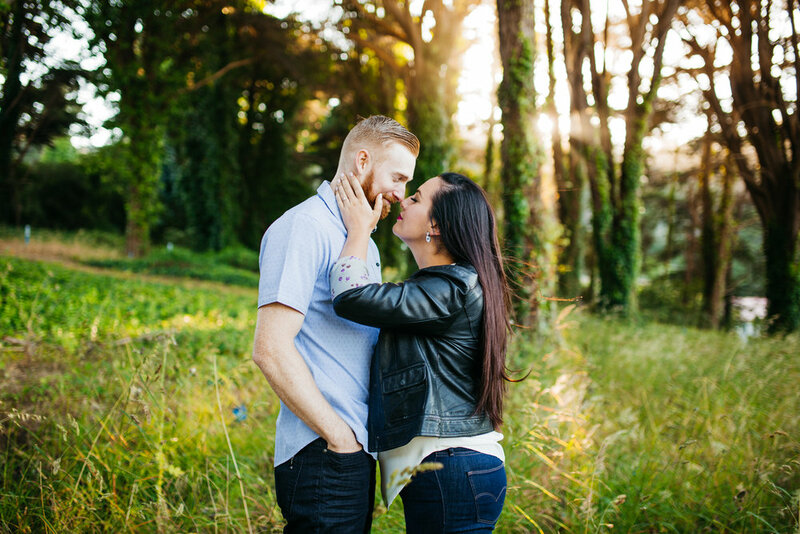 Engagement photos can be used on the day of your wedding for displays at the venue. They are more professional, but can be mixed with the more home-y feel of personal candid photos. These displays can be cute and romantic ways to tell your love story to your guests. 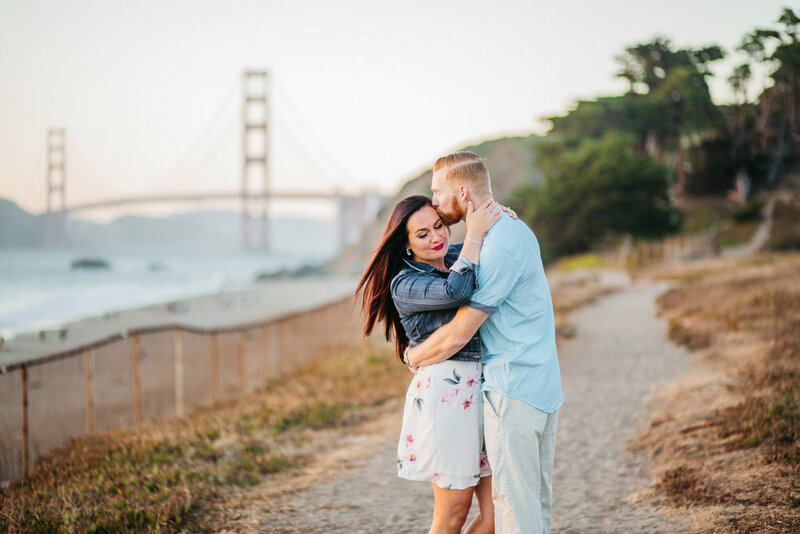 Photos from your engagement shoot are also the photos that you will use for your save the dates, invitations, guest books, Facebook and Instagram posts, etc. It is a great way to promote your wedding! Ask your photographer if they offer save the dates, as these will be more personalized and customized. 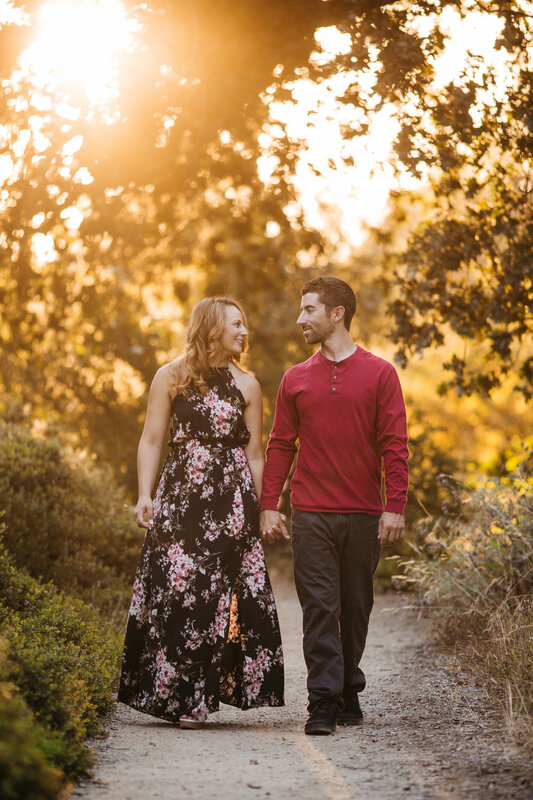 If you use Basic Invite for your save the dates or invitations, you can receive 20% off your order as well as free shipping by using the CODE "ranallaphoto"
From Chico based international wedding photography company, Ranalla Photo & Films, we hope this post inspired you for your wedding! Check out our wedding photos and wedding video for more inspiration! 1. We recommend purchasing your wedding sparklers from buysparklers.com (use discount code "Ranalla" for 10% off) We love #16 Gold Sparklers! The #16 sparkler is 36 inches in length and has a burn time of 4 minutes. 2. There are other options for sparklers, we recommend your sparklers last/burn for at least 2 minute so that everyone is able to light their sparklers and still have enough time for the actual exit when you run through the sparkler aisle, made by your guests. The longer the burn time, the more time you have to enjoy the exit, and possibly even run through it twice if you choose! We do this often and get even more photo opportunities. 3. Plan out the perfect time for your sparkler exit on your wedding day. It is easiest for both the crowd and the one ensuring the crowd is having a good time, your DJ, to have the sparkler exit be the last thing that happens. If your sparkler exit is your last event, then you can leave, and it truly is an exit. However, depending on how long you have your venue for, and how long you have your photographer and or videographer for, it may be necessary to have a sparkler run mid reception. We have done both options, both have been a success. It is important to communicate with your wedding vendors to ensure they are all on the same agreed upon timeline. 4.Make sure you have enough lighters. These wedding sparklers are not as easy to light as the ones you had as kids. So get one that burns more like a torch. Something similar to this should work great. Once a couple are lit, have everyone use the lit sparklers to light the other sparklers. It is easier to light a sparkler with an already lit sparkler, rather than with the fancy lighter you purchased. 5. Have a cute dispay for your wedding sparkers, a nice bucket, lighters, etc. Check out Pinterest for some really cute ideas. 6. Don't do it over dry grass. Find pavement, gravel, or green grass. They are made to not light fires, but don't chance it. 7. Have everyone line up and form an aisle for you and your new husband/wife walk through. Make sure they are spread out enough so you are clear of sparklers. 8. Walk through slowly. It is dark, and cameras have a harder time focusing, so the slower you go, the easier it is for the camera to focus, and more images you get. Also, you get to have a longer exit! 9. Kiss during the exit! It makes for an amazing photo. And hold it, you just got married! 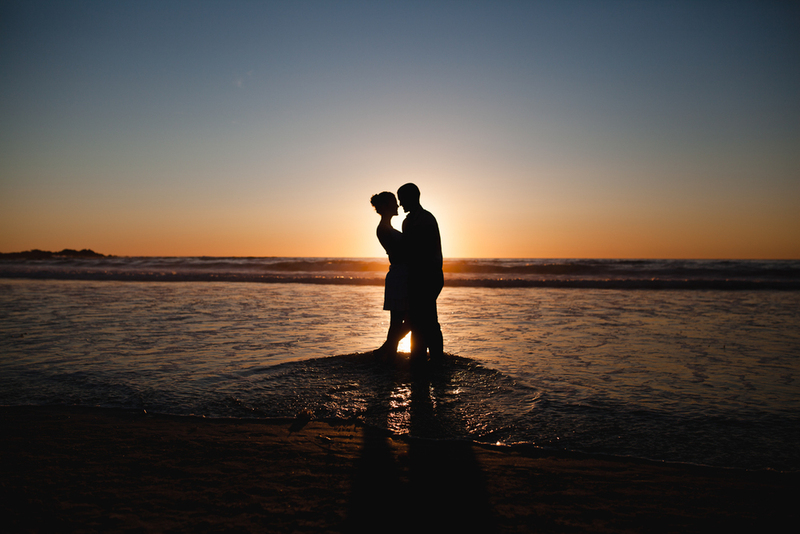 Give the photographer time to grab the image just like your first kiss during the ceremony. Hold it! 10. Tell your guests before the sparkler send off to put the sparklers in the bucket of sand! 11. Have the bucket with the sand you promised, near the end of the aisle. These sparklers are made specially to not have large slag, so it won't light anyone on fire, bonus! However, the design uses wire instead of wood, so you will need to dispose of the left overs. The sparklers will be hot and need to be put in sand or water to cool down, and a bucket to keep them together. You don't want to leave sparklers all over your venue for them to have to pick up. Especially in a lawn, they will get caught in the lawn mower (so we have been warned). 12. Check with your venue. Tell them you have special sparklers, with wire, that don't let off small sparks to avoid fire hazards, and you'll have the necessary bucket of sand to clean up. 13. You want all the guests to have sparklers but you don't want 100 extra sparklers. We recommend getting 25 more than your guest list. Some people may leave by the time you have your sparkler send off, so consider this as well. Save the extras for another fun and amazing celebration! Be legal.. If wedding sparklers are not an option for you, that's okay! There are many other options you can consider to make your wedding send off special, see Pinterest for great inspiration! 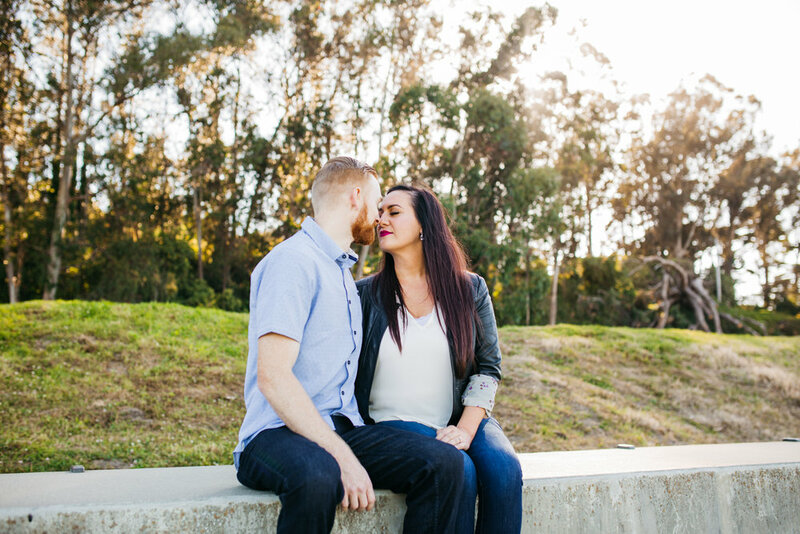 From Chico based international wedding photography company, Ranalla Photography, we hope this post inspired you for your wedding. Check out our wedding photos and wedding video for more inspiration! Should I Have Wedding Sparkler Photos? Sparkler photos can be amazing and unique photos to have from your wedding day! PRO #1: They often turn out to be the most popular and favorite shots of the day! PRO #3: Sparkler photos add variety to the rest of your Wedding Day photos! CON #1: In order to capture sparkler photos, it must be at least an hour after sunset. CON #2: You may not have planned for your photographer to be at the wedding this late. This could mean you need to add time for your photographer. CON #3: You will have to sneak away from your guests for 15 minutes closer to the end of your reception. We believe the pros completely outweigh the cons for these types of photos! They add so much variety and excitement to the rest of your wedding photos and will likely become one of the few photos you print or add to an album! To purchase your wedding sparklers we recommend buysparklers.com. To get 10% off enter: 'ranalla'. From Chico based international wedding photography company, Ranalla Photo & Films, we hope this post inspired you for your wedding. Check out our wedding photos and wedding video for more inspiration! Providing sparklers to your guests for the big exit makes your guests feel involved and excited. Weddings are amazing to attend, and when you give your guests an opportunity to participate it's even better! After your perfect ceremony and reception, what makes for a more perfect ending than having your guests line up in rows, holding sparklers to send you off? Yes, of course, a wedding exit without sparklers will still be sweet and genuine, but is so much more exciting with sparklers! As the night ends, having sparklers illuminate your exit will add to an already perfect day! On top of all the other reasons, look at how amazing the photos turn out! Photos from a sparkler exit are some our clients favorite shots from their wedding day. Sparklers make for the most romantic and unique wedding photos that will leave you speechless! Sparker exits can add so much excitement and thrill to your wedding, even for the guests! Check out our wedding photography gallery for more photos and sparkler shots!